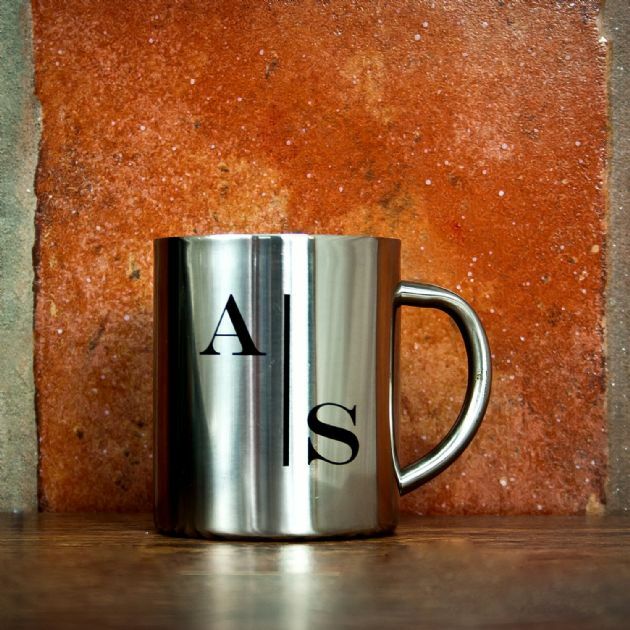 Vacuum stainless steel mug holding 330ml which can be personalised. Unique vacuum space in mug sides stops the outside of the mug getting hot. Strong,unbreakable mug,great for outdoor use. Personalise with two initials of your choice.